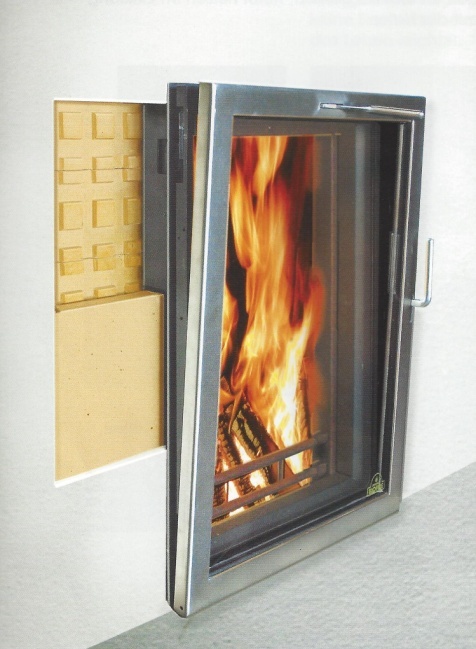 Biofires are wood burning heat storage stoves. Designed to be fired once in the morning, a 1 hour fire gives off heat for the next 11-12 hours. 12 hours later the process is repeated giving you 24 hours – around the clock - radiant heat on only two small fires a day. Biofires, if fired properly burn so hot and completely, that creosote cannot form. 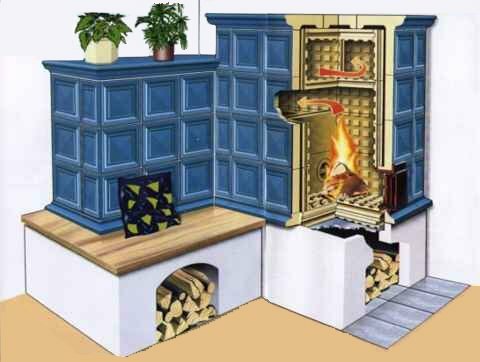 The flue gases pass through a number of passageways so that very little heat goes up the chimney. 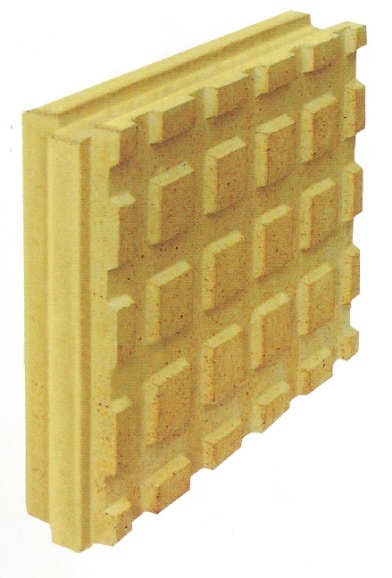 The inside core of a Biofire is made of high grade refractory materials. Special clay is molded and fired at temperatures of over 2,700 degrees, which enables them to hold up under hot fires. They are designed to soak up the heat from the fire quickly and then gives it back as radiant heat over a long period of time. Biofire core stones go together with tongue and groove and once mortared together form a very durable long lasting core. Unique to Biofire, each inside core is engineered to meet the specific requirements for our home. The information supplied by you as to the type of chimney, it’s length, diameter and height as well as the information on the elevation and design of the Biofire are entered into a computer to determine the size of the firebox and the size and number of the flue passageways. 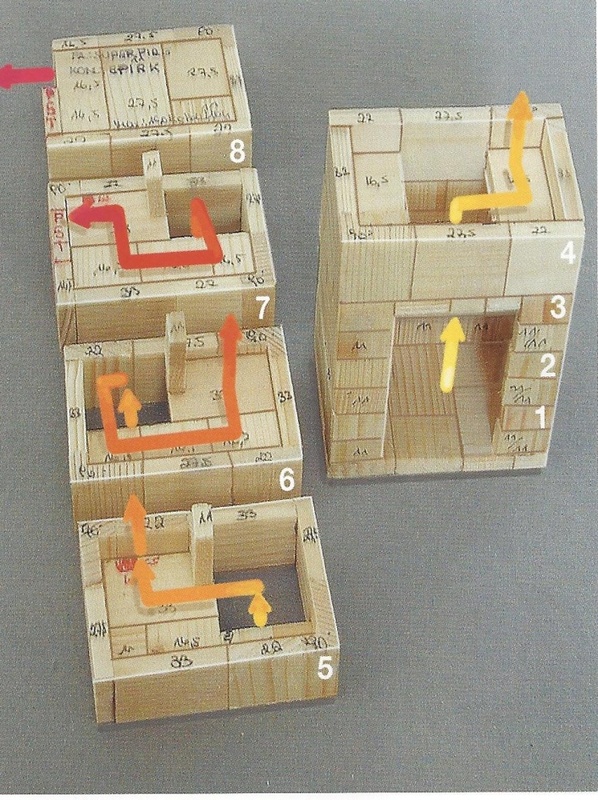 Once this has been done, a scale model is made so that when the builder comes to your home he knows piece by piece how to assemble the inside core. 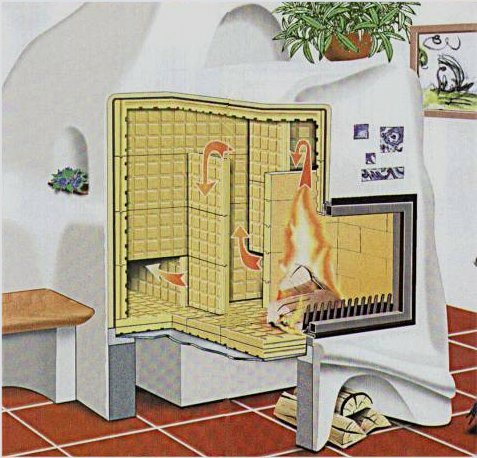 The outer core or outer shell of a Biofire consists of stucco, tile or a combination. We offer beautiful handmade tile, in a wide variety of shapes and colors. Biofires are exempt from EPA regulations. They are clean burning and environmentally friendly. 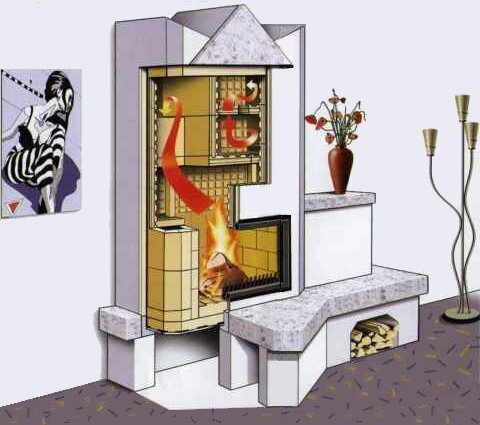 Biofires fireplaces are defined as masonry heaters, and we participate in the Masonry Heater Association of North America. Biofires are vent into a masonry chimney or a double wall insulated, stainless steel, class “A” metal chimney. Biofires although heavy, when properly supported, can be built in existing homes as well as new construction. Biofires provide you with years of wonderful radiant heat rivaled only by the sun. Biofires provide you with peace of mind, knowing that you have a safe alternative from rising energy costs and interruptions in energy supplies.